Am I the only one who prefers the stuff in the stockings to the actual gifts? #maybemaybenot #undecided #likethemequallylikemychilden. Anyways, I love a good stocking and more than that I love getting stuff for stockings. 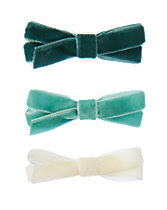 Here are three categories that I try to get a mix of for the stockings in my life. Food, Function and Fun. Can't get any simpler! There is seriously no stocking without food…. and when I say food I mean snacks… and when I mean snacks I mean real snacks, the junky kind not the healthy kind (I'm looking at you, Kind Bars). And let's face it, mostly chocolate! 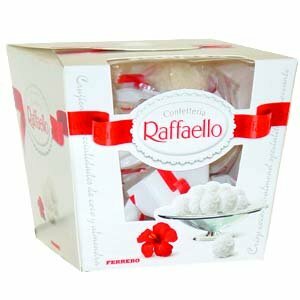 To me, Raffaello speaks Christmas morning, buying a big box and filling everyone's stocking with a few…. and eating a few while filling everyone else's with it. Rocher comes a close second. As I said, nothing healthy! So D gets another orange for us and I love it. 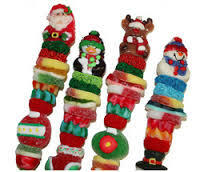 My kids love these in their stockings. I usually get a large candy cane as well and some holiday Smarties//Kisses/Kit Kats etc. I try to find a mix of cute/pretty stuff that my family actually needs. 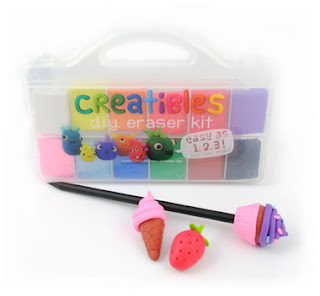 I'd buy these for my kids anytime so for Christmas I just put it in their stocking. 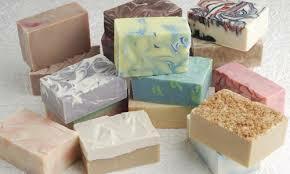 Handmade soaps make a lovely gift. And lip balm… but fun ones. 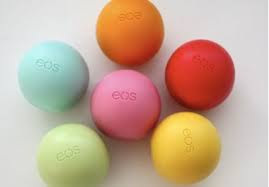 EOS for the win always! Socks and lotions round out this list. We mix this up every year but here are just a few that caught my eye this year. 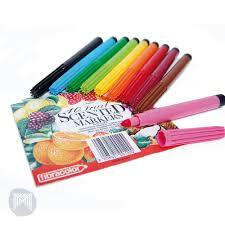 Scented markers for my girls! You know somebody's getting this…. 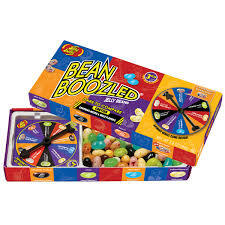 and we're playing it! 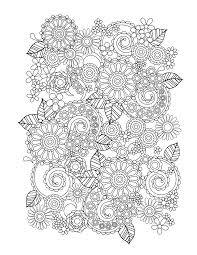 And you know we're jumping on this adult colouring bandwagon too…. What about you? What are your favourite stocking stuffers to give/get? Any ideas to share? Annie and Nat for Thoughts on Thursday. 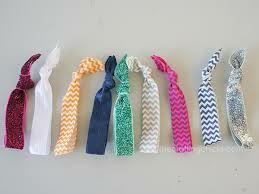 I'm with you on the love for stocking gifts...and you just gave me some awesome ideas for a few I was missing! Thanks! So true! there is no stocking without food; I love all your picks. Great little things which we easily forget about. Thanks for sharing! LOve these! 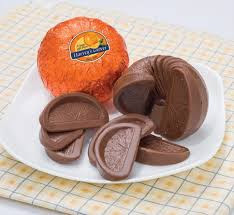 Chocolate oranges are a must in my stocking! I have never tried Raffaello! I will pick them up the next time I am at CVS! So many good ideas there!! And I can't believe that as a love of chocolate, I haven't tried Raffaello yet. On my to-do list this holiday season! What fun! I also tend to put super fun socks in my daughter's stocking. She loves fun socks like me so it's a major win. Cute ideas for stocking stuffers. I find it's fun putting together little things to fill the stocking. The Raffaello's sound amazing! I love stockings too! And it's not a stocking without chocolate. Ours look pretty similar to yours. Little toys, crafts, and games, necessary stuff like socks, and yummy sweets. This year there's a bit of a star wars theme going on at our house. May your season be merry and bright! Festive Friday--- last one before Christmas! !